Sometimes it’s better to be lucky than good. Yes, of course that’s a cliche. (Cliches — “they’re you’re friends.”) But it also was true for the St. Louis Cardinals as they held on to beat the Houston Astros 4-3. The Cardinals struck out 15 times. They didn’t walk at all. (And that combination was a first in the long history of the Cardinals.) They had no hits after the third inning — the side was retired in order six straight times. They made three errors. The Astros scored three in the sixth off Adam Wainwright (who hadn’t allowed a hit until the fifth inning) and had the tying run on base that inning and every one following. Oh, and Bud Norris started for Houston. 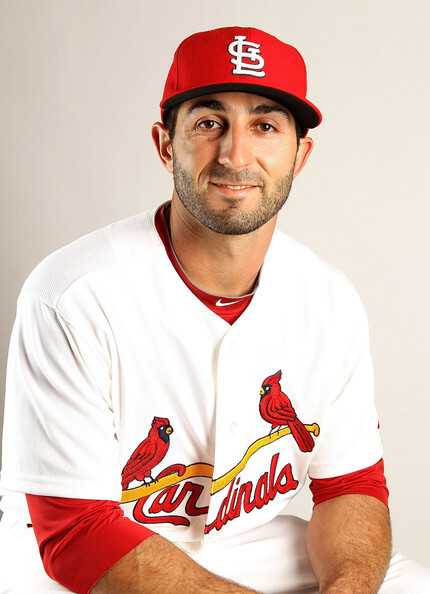 Daniel Descalso, Allen Craig and the bullpen are the reasons why. Dirty Dan homered in the first inning, the first of five consecutive hits that led to three runs. (So much for The Legend of Bud Norris this time.) Then, in the eighth, he made a defensive play that saved the game. Houston catcher Jason Castro opened the inning with his third single of the game and pinch-hitter Marwin Gonzalez laid down a perfect bunt, which Cardinals first baseman Matt Adams fielded and threw past Descalso, who was covering the bag at first. The ball trickled down the right-field line, where Descalso hustled after it, slid to field it, and wheeled to make a perfect throw to the plate. Catcher Yadier Molina put the tag on Castro, who was trying to score from first base. “I honestly didn’t think they were going to send him with no outs,” Descalso said. “But I looked up and he was rounding third, so I just fired it home and put it right on the money. And he was out. Allen Craig also homered last night, the final Cardinals hit of the game and a very necessary run. He was the only Cardinal with two hits, as he also had an RBI single in the first. Adam Wainwright had a good outing, which is always a plus. As mentioned above, he held the Astros hitless for 4 1/3 innings (although a couple of errors and a walk meant the Astros were on base before that). He gave up three straight singles in the fifth, yet kept them from scoring with two huge strikeouts. All three Houston runs were scored in the sixth and charged to Waino, but all scored on singles. Then there was the bullpen. “Bend but don’t break” is a cliche that comes to mind for their combined performances. Victor Marte relieved Wainwright, and immediately gave up a single to Jose “Pocket Jesus” Altuve that scored the Astros third run. But with two on, he retired Jed Lowrie. In the seventh, Eduardo Sanchez gave up a walk in between a ground out and strike out and Marc Rzepczynski gave up a single to Brett Wallace, the only batter he faced. Then Mitchell Boggs came in and got Justin Maxwell to ground out. Scoring threat squelched. Eighth inning, more of the same. Boggs gave up two hits while getting two outs — the second being the amazing Descalso play. After Altuve flied out to right, it was time for Jason Motte. And Dirty Dan’s reward for his awesome defense? Being replaced by Tyler Greene. Motte walked Lowrie in the eighth before getting the third out, then gave up a single to lead off the ninth — taken care of in a double play. (Thank you, Mr. Greene!) After hitting Wallace, Motte struck out Maxwell to end the game. Not a pretty game, but a very nice win. And the Cardinals are back to being one game over .500 and tied with the Pirates for second in the NL Central. The series finale is tonight, with our Wolf Pup Lance Lynn taking on J.A. Happ at 7:05 p.m.